Captain America was not just action throughout, but a civil war between friends. 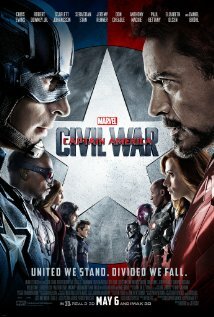 It was hard to watch because of that, and you could take either Cap's or Iron Man’s side. Going back to the Harry Potter world was great, and the story was better than some of the Harry Potter films themselves. Rogue One stood on its own and with everyone meeting their end to get the plans it was a gutsy move by Disney, but it paid off. Breaking the fourth wall countless times and people fearing its R rating was supposed to hurt it in the Box Office, but Deadpool proved all those people wrong. The rating didn’t hurt it at all and can we get a sequel already? Ben Affleck played a guy with autism who became an accountant/secret agent of sorts and could handle himself with ease. Although it was a serious movie, the dry humor was great. Deep Water Horizon tugged at my heartstrings, especially because it was based on the real-life events of an oil rig in the ocean that malfunctioned because of big wig mistakes. It was good seeing Mark Wahlberg play the part saving all the people he could. This was a movie that I didn’t expect to keep me on the edge of my seat. One of the greatest horror movies of 2016. Disney does it again in a movie about animals in a world if humans didn’t exist. Zootopia was fun throughout and a great adventure. My favorite animated film of this year. Chris Pratt plus Denzel Washington and five other brave souls take on the enemy of a town. Magnificent 7 surprised me that it wasn’t a happy ending for all the heroes. We follow a kid who has a dream to go the winter Olympics, and even though his country does not believe in him, he doesn’t give up. A fun and inspirational movie about always getting back up. Star Trek Beyond: Star Trek has always been a close second behind Star Wars for me and this movie brought the action and sci-fi that I love. 10 Cloverfield Lane: The whole time I was thinking this guy was keeping this girl and another dude in his bunker for no reason, but the ending solidified the whole story. It was a mystery thriller from beginning to end. 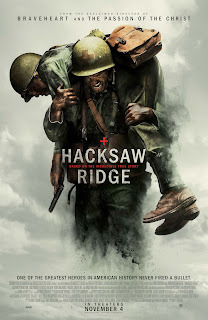 A refreshing war movie that wasn't just about the horror of battle, but family and faith as well. Not a bad performance from a single cast member. Vince Vaughn should be up for supporting actor in this one. Taron Egerton and Hugh Jackman had amazing chemistry. Much more than your run-of-the-mill inspirational sports film. One of the boldest, most unique films of the year and a refreshing break from action flicks. We need more movies like this. It would have been a shame if I'd skipped this like I planned to. It's an excellent thriller, yes, but also features some fantastic depth and dry humor from Ben Affleck, who should get a nomination at the very least for his performance. My most anticipated film of 2016. The fact it's in the middle of this list shows you how many movies caught me off guard. It's high time for a western renaissance and Mag 7 is the gold standard. This movie reinvigorated the Marvel Universe for me. Portraying neither side as "right" was a powerful device that many other super hero films lack. Spin-off movies are tricky, but Fantastic Beasts stands on its on two feet with a perfect blend of effects, memorable characters and comedic relief. It'd be higher on my list if the plot had been stronger. I originally had this at #10, but after seeing it a second time, I bumped it up. In the world of spin-offs, it fits nicely below Fantastic Beasts: the plot had a few misses and the dialogue hurt some of the acting. Even so, I applaud Gareth Edwards and co. for this brazen, stark and gritty movie that both paid homage to the saga and established its own place in Star Wars lore. One of my favorite childhood movies. Disney continues to hit these live adaptations out of the park. The effects were phenomenal and I appreciated the slightly darker take that was truer to the books. I may catch some flack for this one but hear me out. Tarzan deserves a spot on this list because A. It wasn't another run-of-the-mill origin story ( I loved the setting and plot) and B. I legitimately thought it was a Disney film until I got home and looked it up. 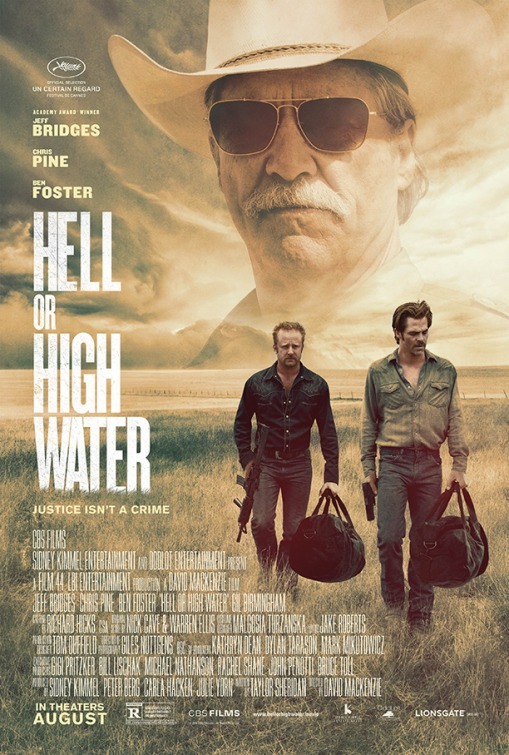 Well done, Warner Bros.
Americana and rough and tumble brotherly love meets bank robbing goodness and love for where we come from. God bless this broken country of ours. Amy Adams as Louise Banks is, in my opinion, the lead of the year. Backed by excellent effects, writing and stunning cinematography she leads Arrival to my silver medal slot. So rarely these days does Hollywood give us anything new, preferring instead to regurgitate the same old drivel. Not so with this film, a fresh and strange look at dating and finding love in the places we least expect. Maybe it’s the Star Trek nerd in me, but seeing Patrick Stewart and the late Anton Yelchin at odds in this thriller-gone-right was just what the doctor ordered. Oh, and I hate Nazis! Josh Brolin gets my nod for best actor in this period look at classic Hollywood. An all-star supporting cast and an excellent story with just enough twists and turns makes this one a must-see. One of Disney’s main offerings outside the Marvel/Star Wars universes was delightful. This tribute to positive thinking, hard work and forgiving people was warm and funny. Did I mention I am a huge Star Trek fanboy? Combine my favorite crew in all the galaxy with break-neck action. Mix in a little relatability in the form of heroes who just feel stuck in a rut, then top it all off with some Beastie Boys. Yum! Wow. Talk about emotional weight. This film made me feel five years older after watching it. Not in a “this movie was a little long” way, but in a “those were some tough, amazing men” kind of way. While it wasn’t Denzel’s best film of the year, the action western had just enough humor and smoking guns to take us back to a time when honor and grit made the man. The Latest addition to the Harry Potter cinematic universe left little to be desired. Redmane was sufficiently likable and the supporting cast shined. The lore and very American feel of the film made me feel like the magic had finally come home.